This 41pc Rivet Tool Kit from Performance Tool makes setting different sizes of poly rivets an easy task. 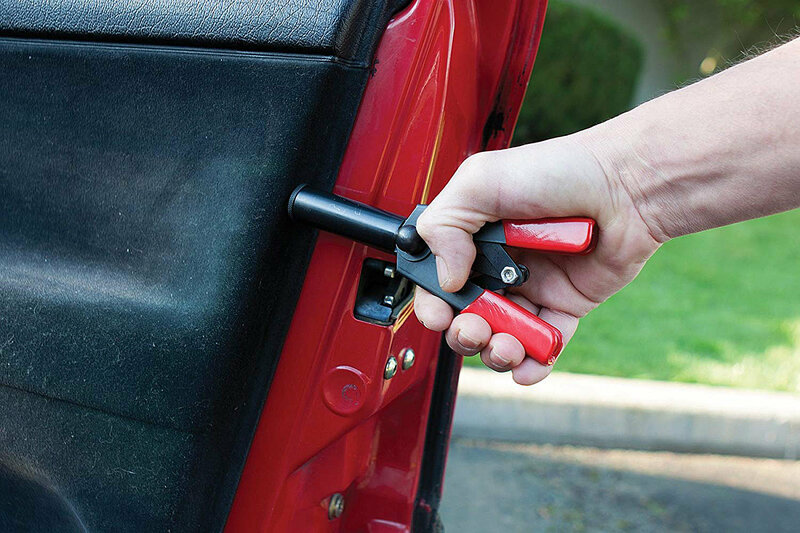 This tool is the perfect addition to any toolbox for fastening door panels or other trims around the vehicle. The self-adjusting jaw on the rivet tool sets the rivet in the perfect position with a single stroke, which eliminates the need for re-gripping which could lead to possibly breaking the rivet. The long forward nose design gives access to tight spaces. The rivet tool is ergonomically designed for easy one-handed use. This innovative design will not cause damage to painted surfaces. 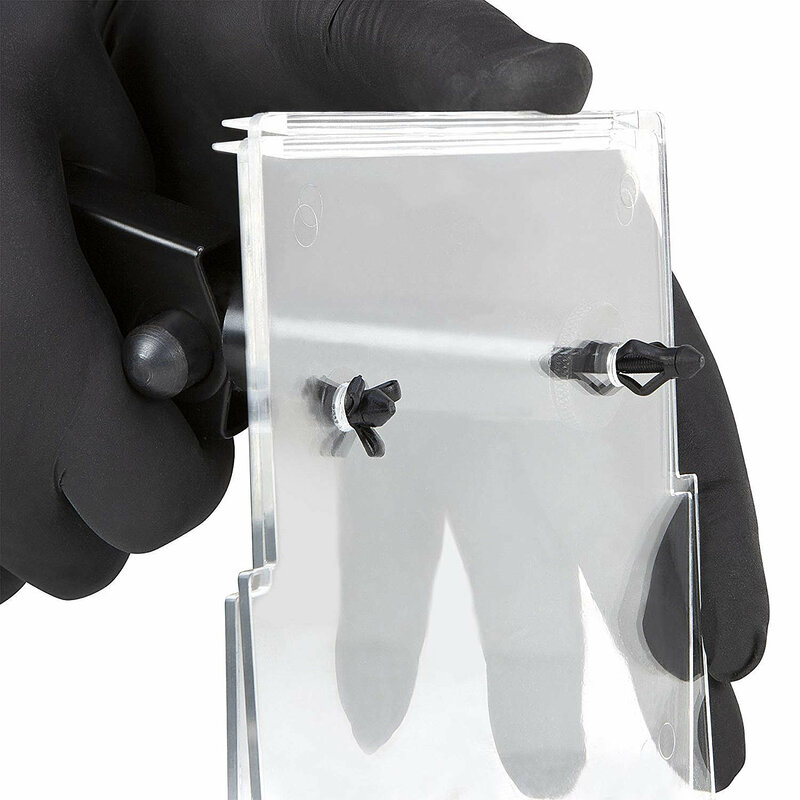 This complete kit includes 40 industrial strength Polyoxymethylene (POM) rivets of varying sizes. 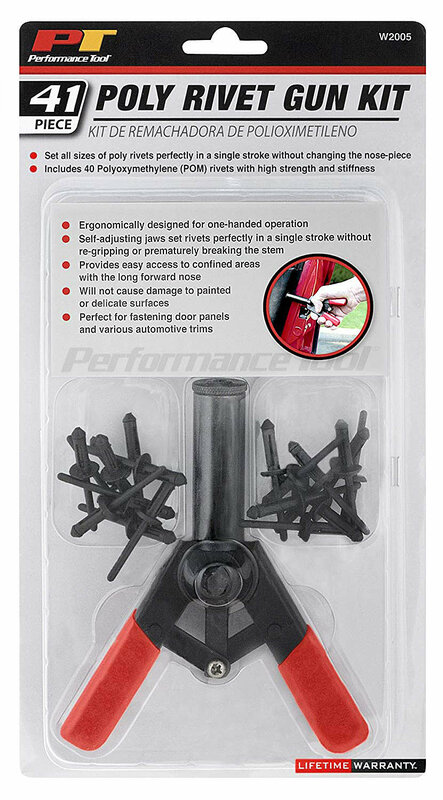 Easy Operation: The 41pc Rivet Tool Set is ergonomically designed to comfortably and easily set Poly rivets into many different applications on the vehicle with one hand. 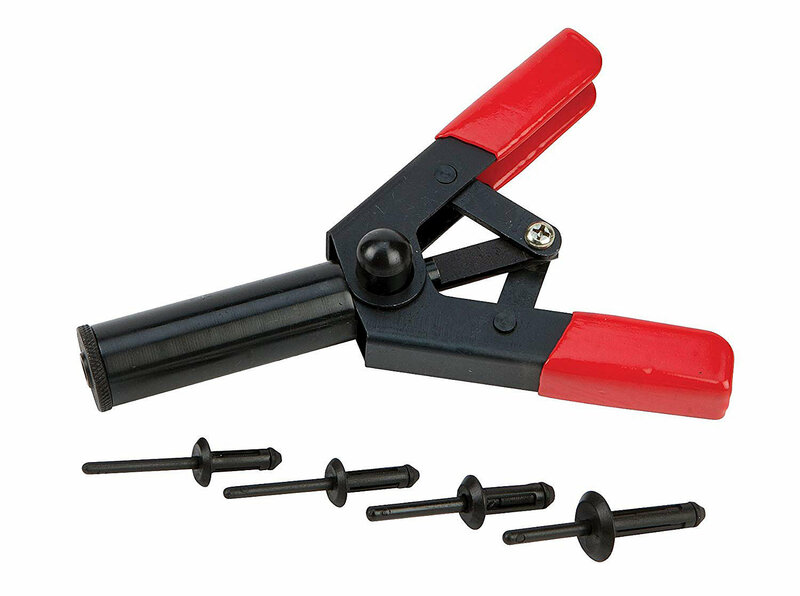 Multiple Uses: From door panels to trim, this easy to use rivet tool can set many different sizes of rivets, without the need to change out the nosepiece! Multi Piece Kit: The 41pc Rivet tool kit comes with everything needed to set a variety of Polyoxymethylene rivets, and will leave a finished look without damaging any surfaces on the vehicle.